One of the best known pop groups of the last years, Maroon 5 has brought to the public the most beloved songs in their unique and interesting style. Many have tried to make a top 10 best Maroon 5 songs as they believe that it is fairly important to be able to have all the nice hits in one place. This list of best Maroon 5 songs includes both songs from the beginning of the group to the newest hits that are played on the radio as we speak. This 2011 released song is one of the best sweet melodies from the album Hand All Over. The theme is centered on keeping alive a love that seems to be over. The song reached successfully the top 5 hits on the radio. Released in 2007, the song sound a lot like the famous Every Breath You Take sang by the Police. This song brought the band a nomination for a Grammy Award for the wonderful vocal performance. From the album It Won’t Be Soon Before, this track was definitely a success as it gave the guys a Grammy Award. The entire sound of the single is rather funky as it tries to catch up with the urban trend. In 2002, the song was written as a response to the quarrel the group had with their record company. This whole thing turned into a full of rock songs and it was part of the Songs about Jane album. The whole song is centered on the theme of relationship cheating and it could be considered a violent response to the state of fact. The whole idea of shooting the infidel was marvelously adapted to the clip. This single has certainly caught the attention of the public as the group worked on it with the legend Mutt Lange. The song reached number one in the radio charts for pop adult music. It was their single number three on their debut album and it has a wonderful and deep soul sound. The amazing thing is that the song was downloaded more than two million times. This song features a collaboration between Maroon 5 and Wiz Khalifa and is present on their 5th album called Overexposed. The song was first sung on the TV show The Voice. This single made the band the powerful trend that it is today. 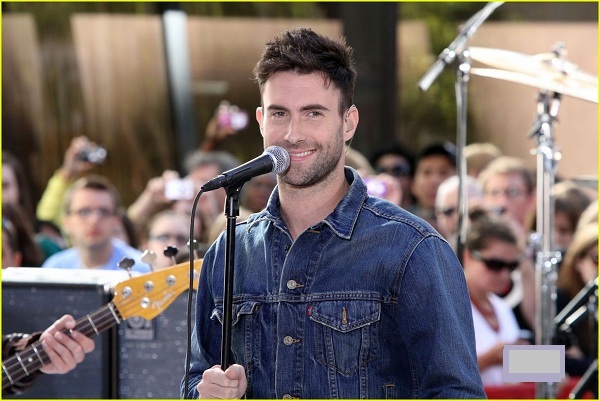 It is full of emotions and feelings as it was written in a pretty difficult time for Adam Levine. It is a light-hearted song featuring Christina Aguilera. The song was so catchy that it became one of the greatest hits of the band.